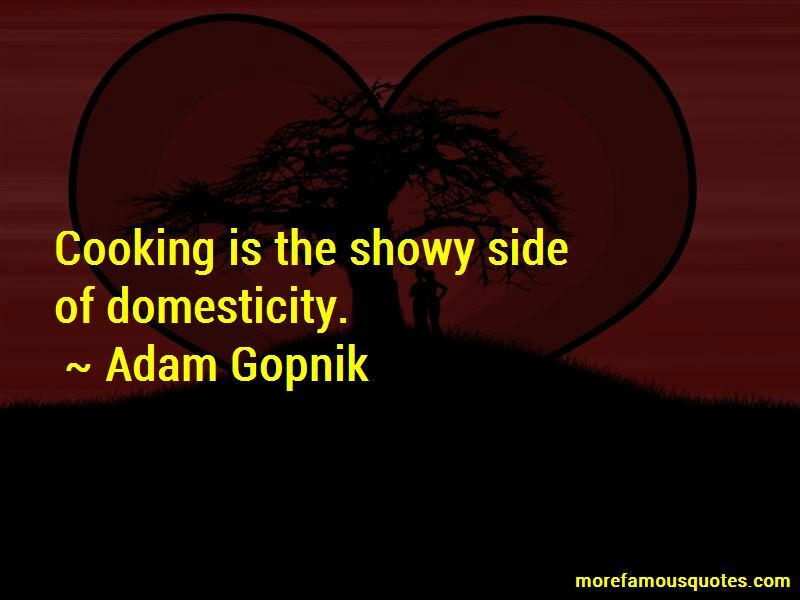 Enjoy the top 101 famous quotes, sayings and quotations by Adam Gopnik. We breathe in our first language, and swim in our second. I love you forever' really means 'Just trust me for now,' which is all it ever means, and we just hope to keep renewing the "now," year after year. Yet human intelligence has another force, too: the sense of urgency that gives human smarts their drive. Perhaps our intelligence is not just ended by our mortality; to a great degree, it is our mortality. After all, spinning is its own reward. There wouldn't be carousels if it weren't so. Paris, on the other hand, looked exactly as it was supposed to look. 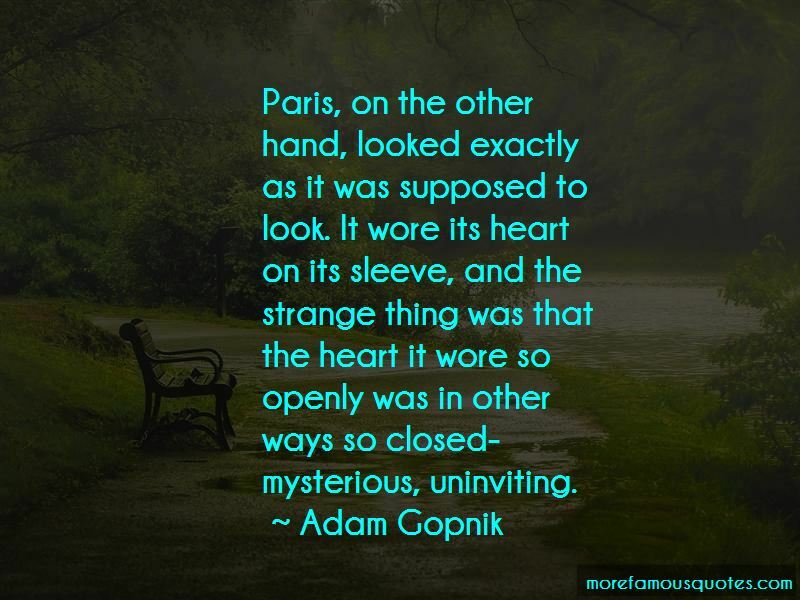 It wore its heart on its sleeve, and the strange thing was that the heart it wore so openly was in other ways so closed-mysterious, uninviting. We pursued the muses, instead of the mirrors. As we waited, I insisted that the reason government bureaus could seem so bureaucratic was that, by their nature, they have to be inclusive, and they can't inflict the basic market rationale of price differences upon their customers. If the privileged could pay more for quicker service, they would, but this would undermine the premises of citizenship. That first-class passengers get a shorter line through security claws at our idea of citizenship, which ought to include the notion that the rich and the poor suffer the indignities and delays of common civic cause equally. How could I forget you, Darryl? You called me God. That people don't speak in theories, that the theories they employ change, flexibly, and of necessity, from moment to moment in conversation, that the notion of limiting conversation to a rigid rule of theoretical constancy is an absurd denial of what conversation is. I think I'm more intensely opinionated when I speak; more agreeably balanced when I write. Drawing is one of those things which sit on the uneasy bending line between instinct and instruction, where seeming perversity eventually trumps pleasure as the card players and the kibitzers interact and new thrills are sought. We've had mass shootings in the United States in the part of violent antiabortion protesters, in the part of violent pro-ISIS militants. The trick and the trap and the horror is not faith.I don't think the trap and the horror is fanaticism. 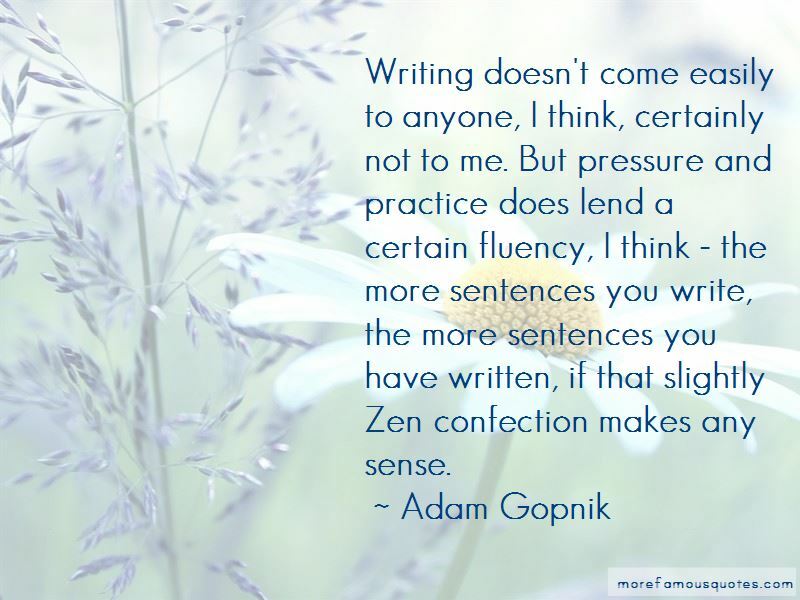 Want to see more pictures of Adam Gopnik quotes? 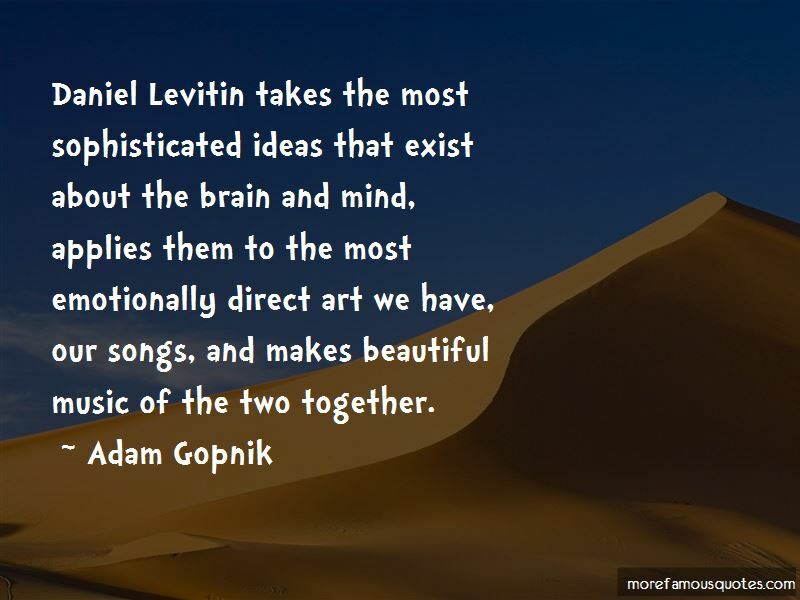 Click on image of Adam Gopnik quotes to view full size.